Podcasts are a great way to educate yourself. Whether you’re on the train, in the car, at your desk, or anywhere in between, this medium is an incredible vehicle for supplementing your industry knowledge. Every week, I’ll be sharing with you some of the best marketing podcast episodes you can find, spanning the entirety of the marketing landscape. MarketingProfs aggregates some of the best marketing data and practices around and presents it all in very convenient packages. 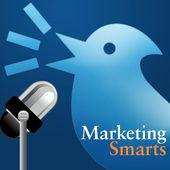 The Marketing Smarts podcast is no different. Host Kerry O’Shea Gorgone, a lawyer by trade who’s been in the social game for over a decade, delivers actionable insights for marketers of all levels every week. Takeaways: The convergence of marketing and data science probably isn’t anything new for most of us; add in learned behaviors like the ones found in AI, and we’re newbies all over again. Bob Lord, IBM’s first Chief Digital Officer, implores marketers to become more proficient in data science and development. Lord says, “[t]he core skillsets of the marketer have to go beyond pure marketing skills [to] really possess some data science skills in order to be effective in the future landscape.” If we want to use AI for all it’s worth, we’ll need to have a greater understanding of just how much these machines can do and what we, as humans, can achieve using them. It’s an eye-opening conversation. 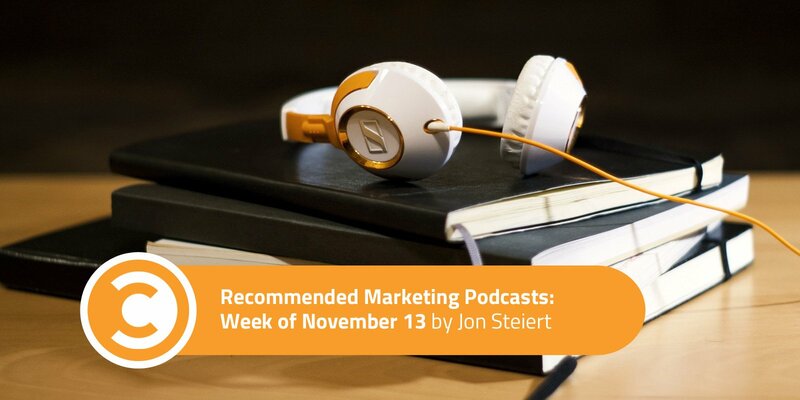 Oh, The UnPodcast—such a brilliantly irreverent and absolutely essential marketing podcast. Hosted by husband and wife duo Alison and Scott Stratten, every episode is dripping with sarcasm, insight, and things you should never do at home (like being rude to your customers—it’s amazing how many companies still don’t know how to respond to negative criticisms). Takeaways: In this episode, the Strattens discuss Instagram’s exploding user growth, how easy it is for small businesses to advertise on the platform, and their favorite accounts to follow. They also talk about the FTC’s crackdown on Instagram influencers and the need for further disclosure beyond using #ad. Disclosure continues to be a prevalent problem on Instagram. This episode questions what needs to change regarding the platform’s sponsorship disclosures. Our hosts don’t seem to settle on an answer here, but it seems Alison and Scott wouldn’t mind seeing more action on this issue from both the FTC and Facebook, Instagram’s parent company. Bonus Instagram conversation: A supermodel posted a photo of herself—taken by a professional photographer—on her own account. The photographer is now suing her. It’s an excellent conversation about the ethics, legality, and value of copyright when your likeness is in an image. Regardless of whether you work for yourself or you’re in a large company, possessing the skill to juggle multiple projects at once is very valuable. 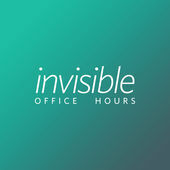 That’s the topic of this installment of Invisible Office Hours, hosted by serial entrepreneurs Jason Zook, a man who actually sold his last name twice, and Paul Jarvis, a guy who builds people better businesses (and is not Tony Stark’s AI Assistant). In this episode, our hosts kick around the best ways to identify priorities and how to apply those to life. Takeaways: Whenever you’re beginning to map out your priorities, it’s best to start with potential revenue and your product’s longevity and work your way backward. While neither Jason nor Paul judge their successes by money alone, they recognize that they need to have revenue coming in in order to continue doing what they love to do. Towards the end of the episode, Jason shares how his wife keeps him focused on the things that are important to him, their family, and their business by using the phrase, “Good for them, not for me.” Anyone, of course, can apply this to many different scenarios in life and business. It serves as a good reminder for all of us. Doing things that are beneficial for others is wonderful, but if we aren’t focused on helping ourselves first, we’ll never be able to serve others like we want to.